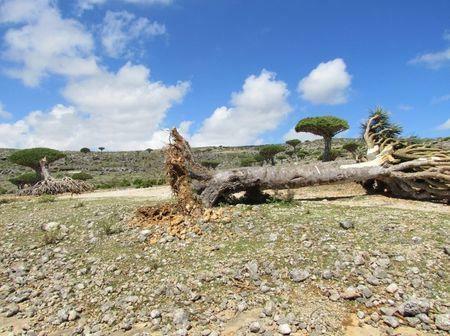 ADEN (Reuters) - Winds and rain from the second rare cyclone to hit Yemen in two weeks have killed 13 people, including three children, on Yemen's Socotra island, the fisheries minister said on Tuesday. Cyclone Megh slammed into Socotra on Sunday with category four hurricane-force winds, and arrived on the Yemeni mainland's southern shore near the port city of Aden on Tuesday. The WMO said the highly unusual strike by two cyclones in a week was due to the "Indian Ocean dipole", a weather phenomenon similar to a regional "El Nino" effect caused by unusually warm surface water in the Arabian Sea.